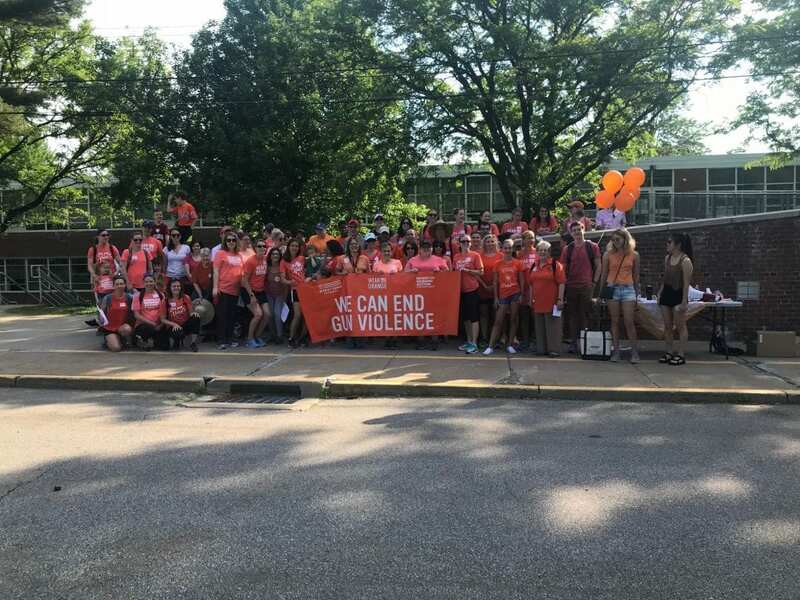 The Hartford/West Hartford chapter of Moms Demand Action held a 16-mile walk on Saturday to raise awareness for gun violence prevention. 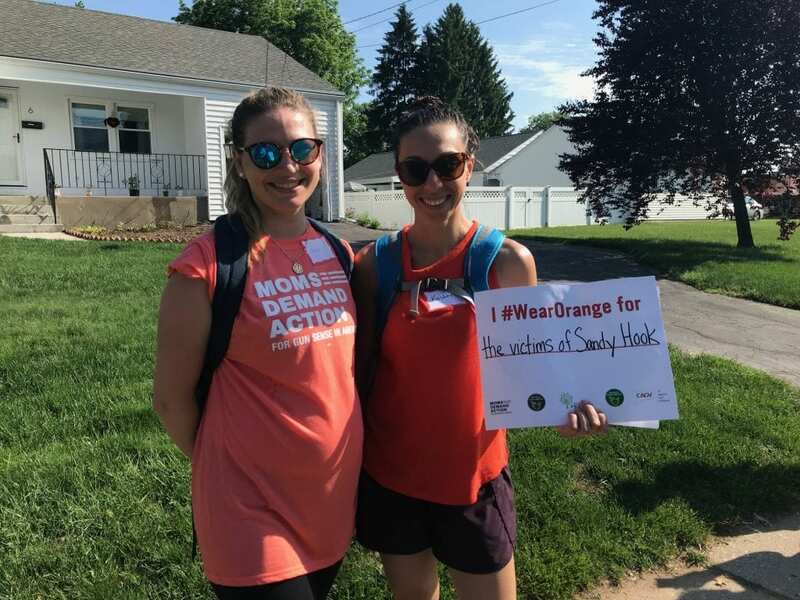 Moms Demand Action Wear Orange Walk in West Hartford. Pictured left to right: Dante Costa and Kristen Manning. Photo by Ryley McGinnis. 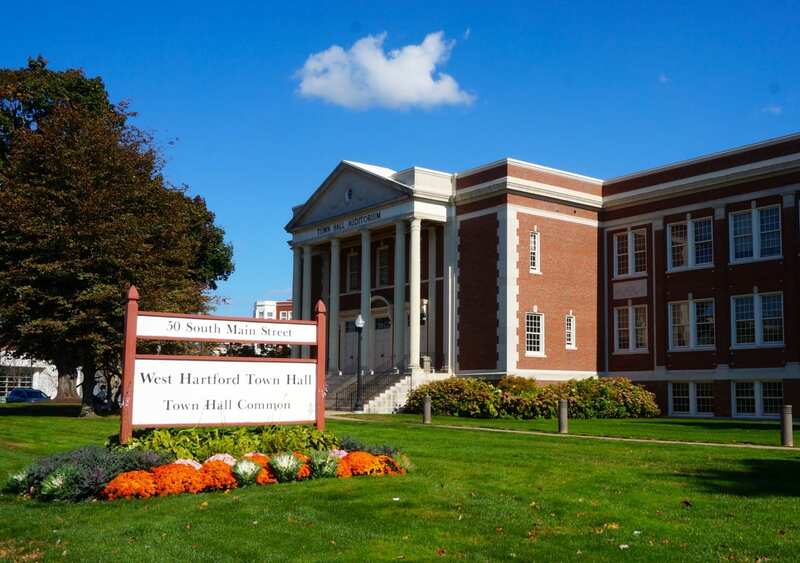 “We are all here for someone we love,” were just some of the opening words that Kate Martin, the founder and head of the Hartford chapter of Moms Demand Action, had before approximately 50 people stepped of for the 16-mile trek to all 16 public schools in West Hartford. 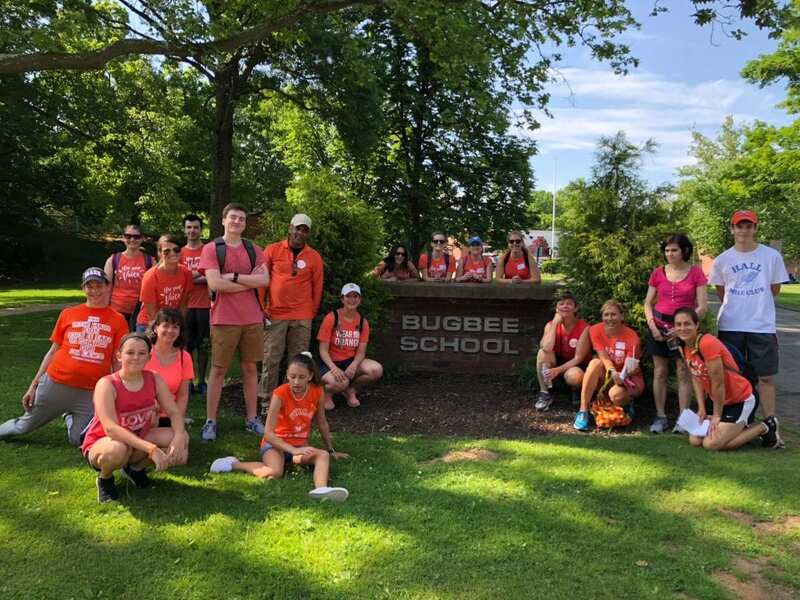 The Wear Orange Walk, organized by Nicole Osier and Katie McCarthy who are members of Moms Demand Action, was intended to raise awareness for gun violence prevention. 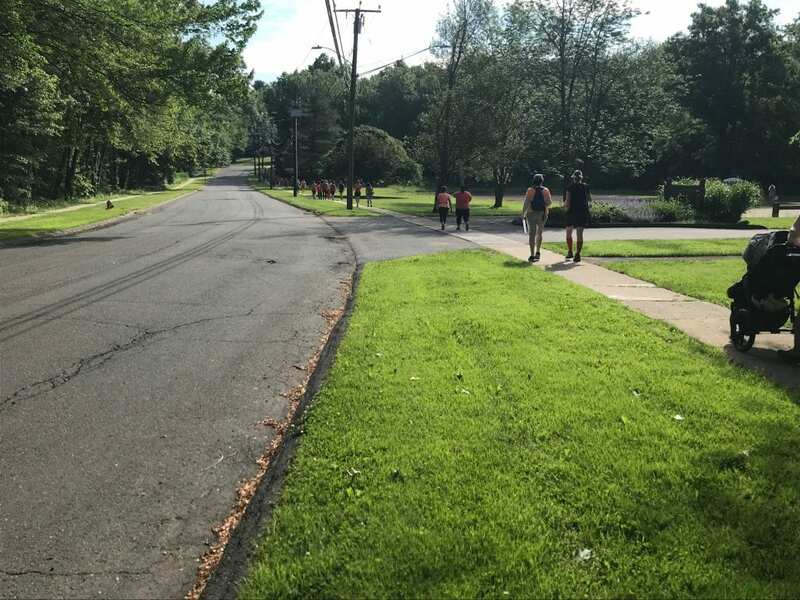 The walk started at Norfeldt Elementary School and ended at Morley Elementary School. The walkers’ bright orange shirts could not be missed by passersby who honked their horns as they drove by in support of the cause. 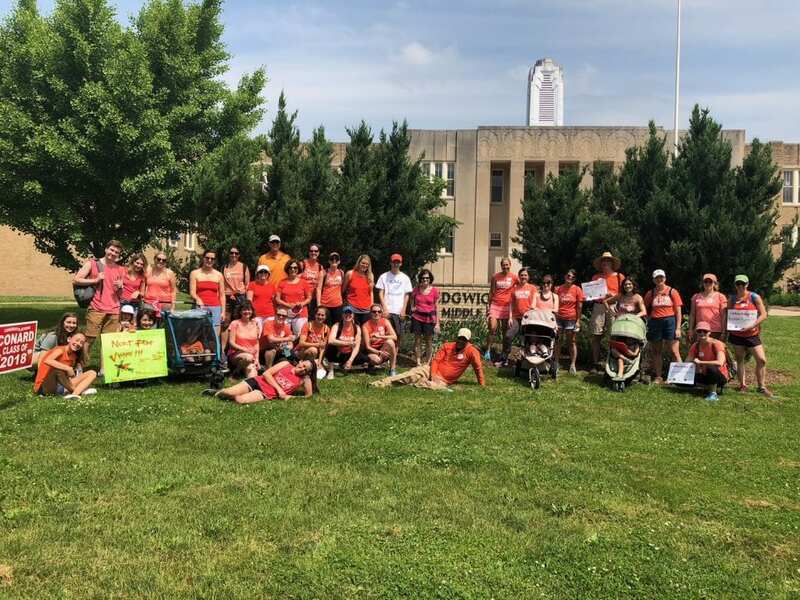 According to Martin, 10 other Wear Orange Day events are happening all across Connecticut this weekend, and this is only a small part of the hundreds of events that are happening nationwide. 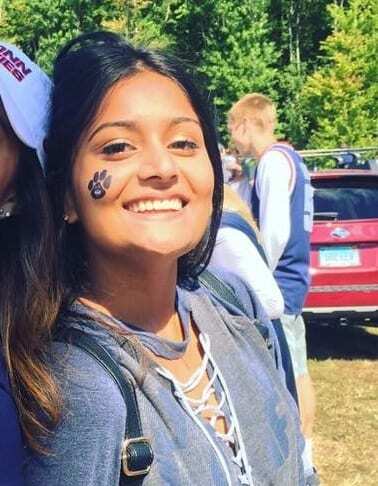 Last year, Connecticut only had one Wear Orange Day event. “This movement started as something small and has now turned into a symbol of gun violence prevention,” said Martin to the crowd. 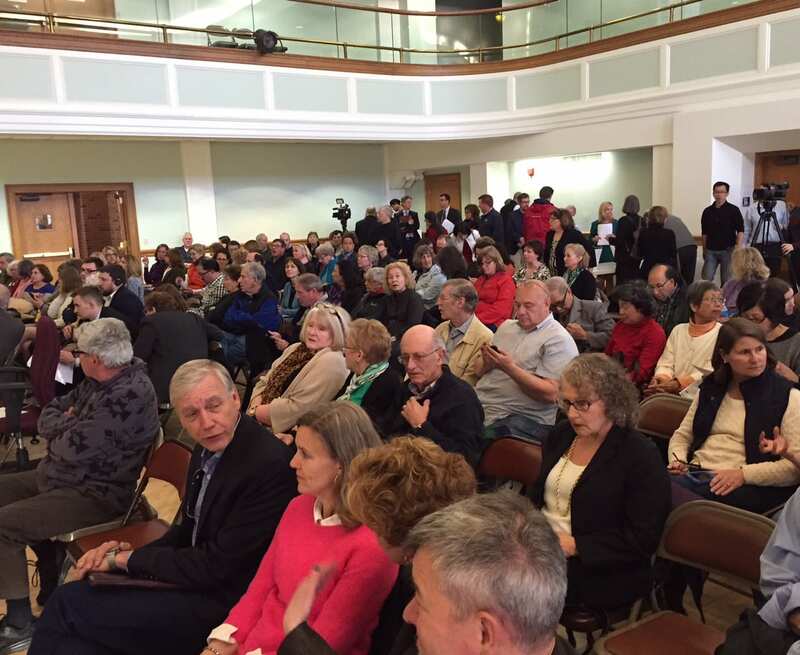 State Rep. Derek Slap, who represents West Hartford in the 19th House District, was also in attendance, “These movements are important to keep the pressure on the issue and keep it in the forefront of people’s minds,” said Slap to We-Ha.com. 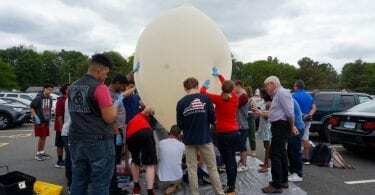 Slap’s sentiment was echoed by Eleni Kavros DeGraw, who is currently running for election for Connecticut State Representative in District 17. 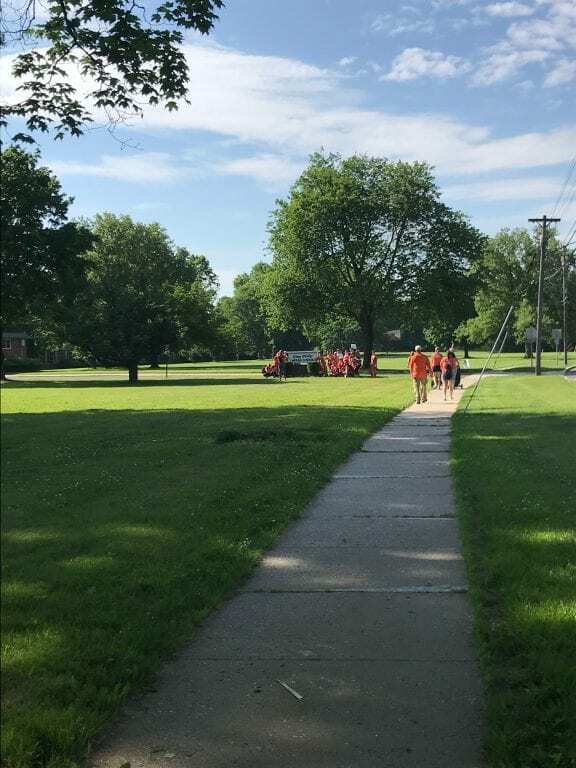 The color orange and walks like this keep the topic on people’s minds and raises attention to this ongoing issue, said DeGraw. Eva Zimmerman, who is seeking election to the office of lieutenant governor and is originally from Newtown, CT, was also in attendance. 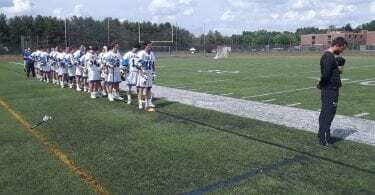 Martin and McCarthy sent off the many participants in the walk with a 96-second moment of silence to commemorate the 96 people who are killed from gun violence every day. “We all have someone we would walk to the end of the earth to protect from gun violence,” Martin said. 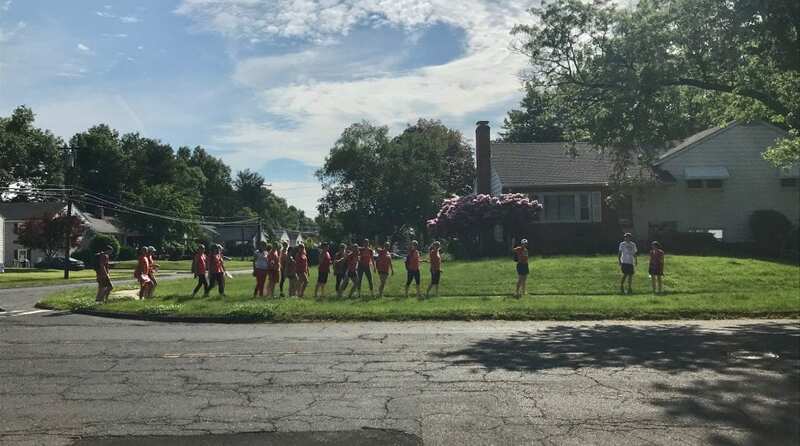 “We are truly in this fight together,” said McCarthy, as the walk to the first of 16 schools, Aiken Elementary School, began. 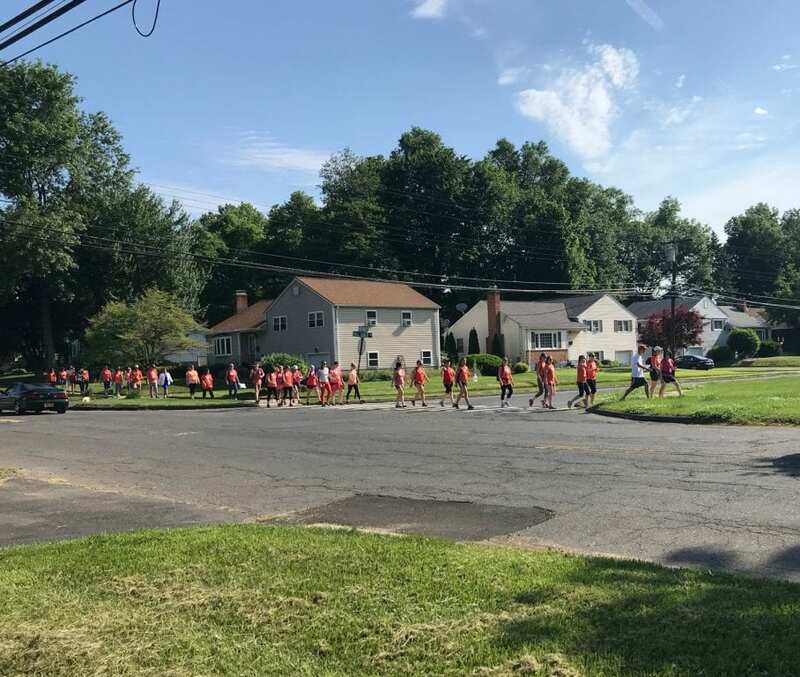 Moms Demand Action Wear Orange Walk in West Hartford. 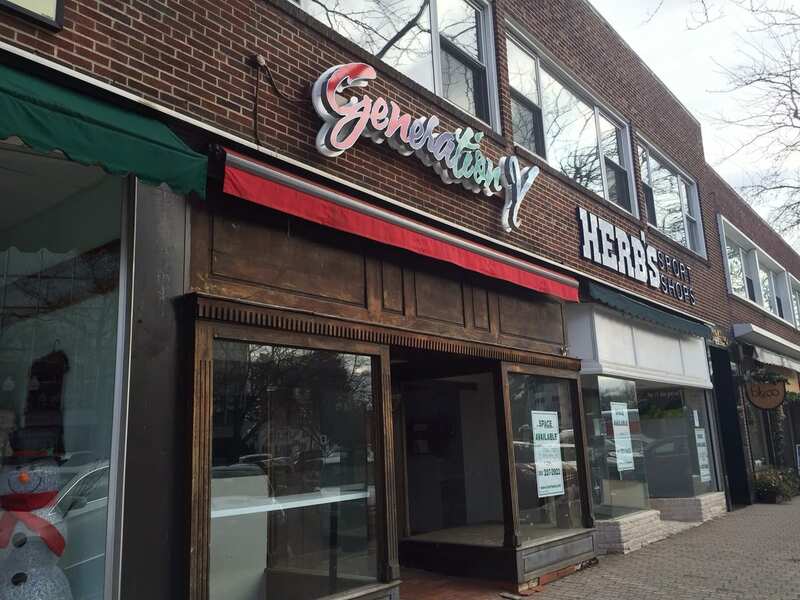 Photo courtesy of Janet Malloy. 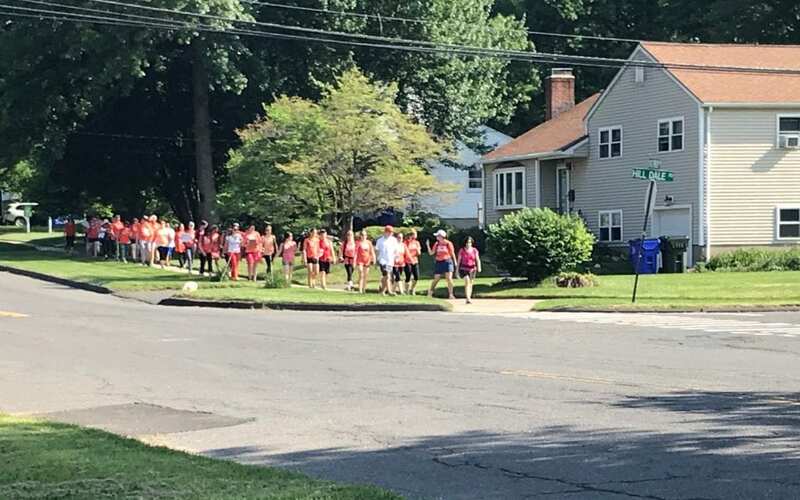 Moms Demand Action Wear Orange Walk in West Hartford. Photo by Ryley McGinnis.